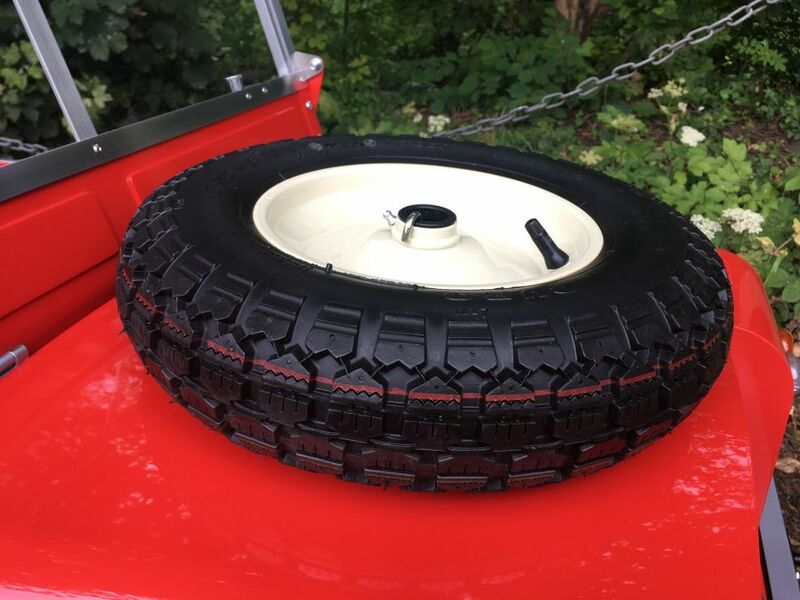 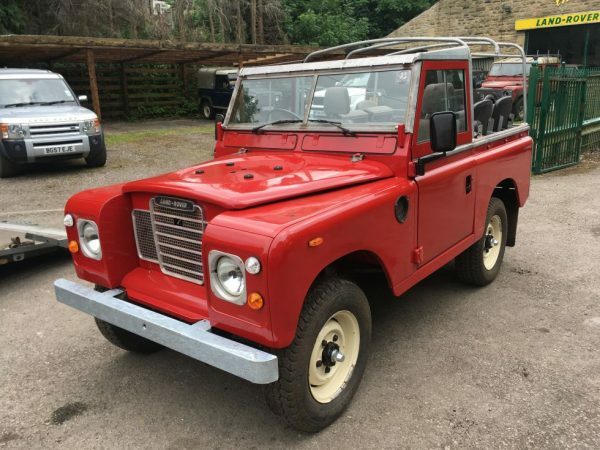 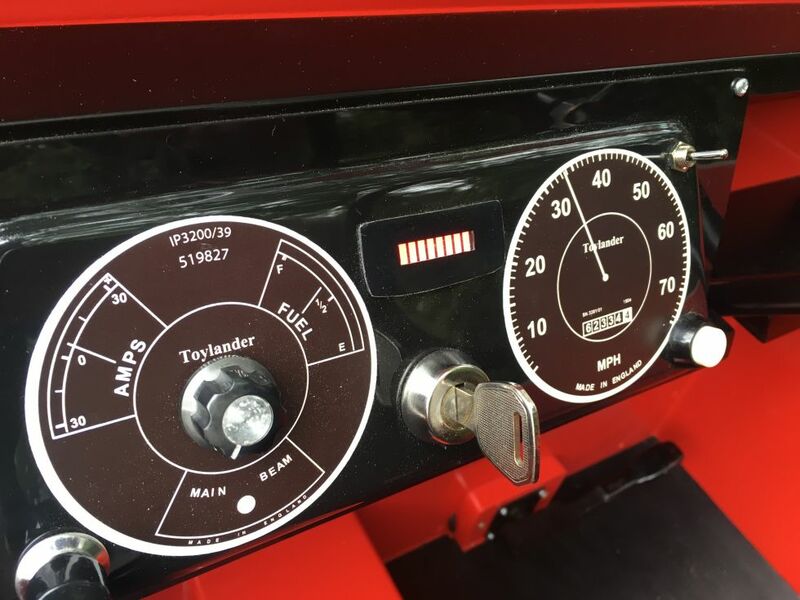 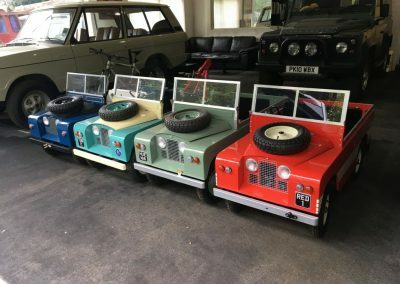 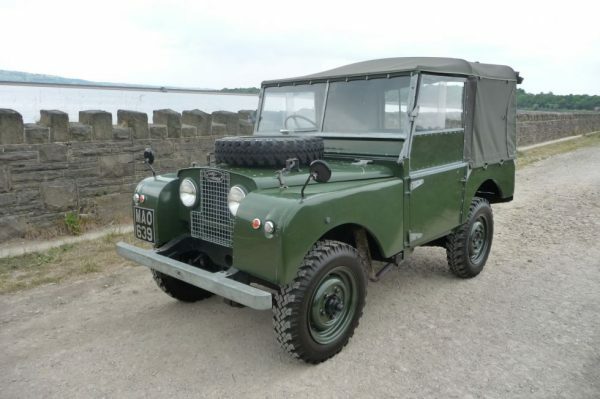 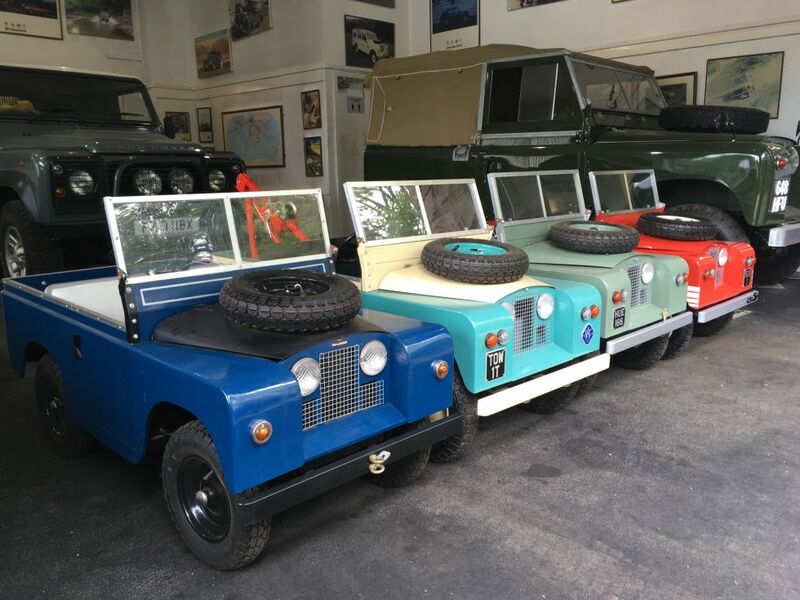 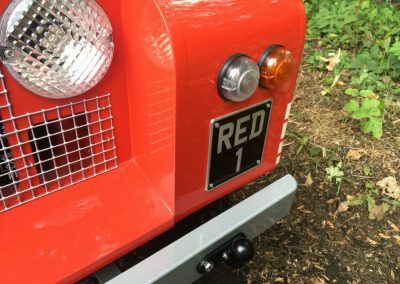 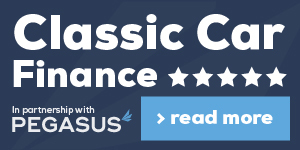 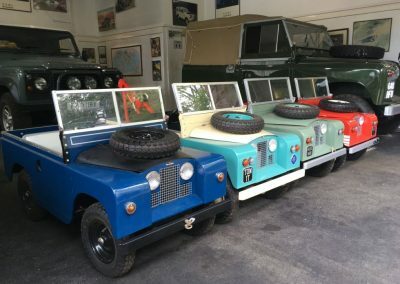 Categories: Classic Land Rovers, Other Land Rovers, Other misc. 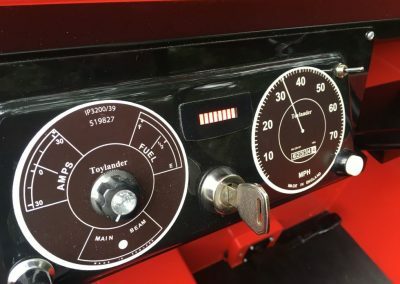 Brand New Zero Miles 24 volt Toylander. Built by a multi award winning experienced Toylander builder. 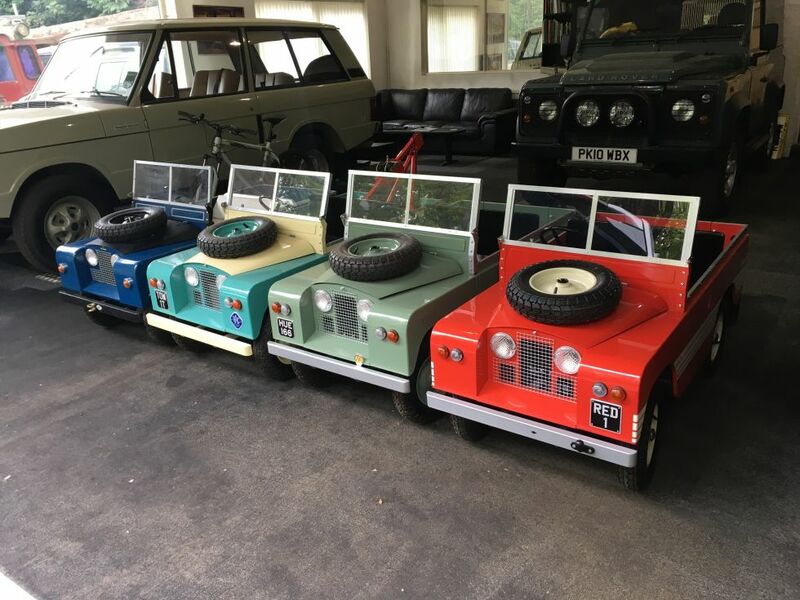 All of our builds are built to absolute concourse show condition regardless of cost for people who require only the best Toylanders available. 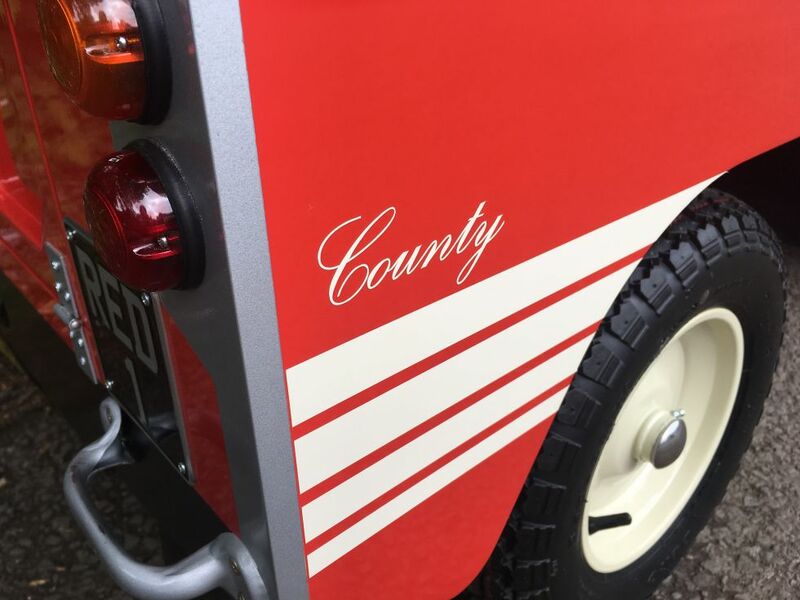 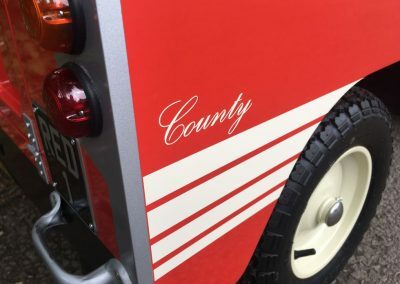 Finished in 2k classic Masai Red, with limestone wheels, and full County Livery. 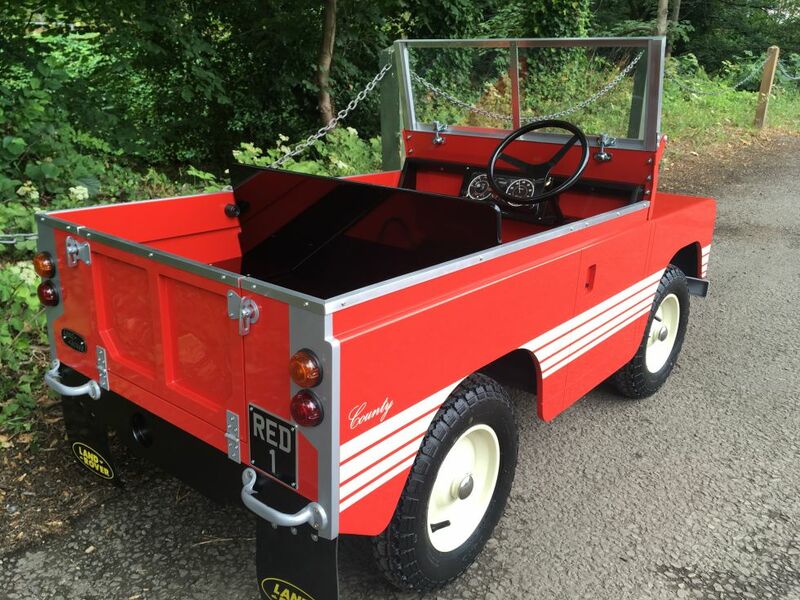 Features: working headlights, sidelights, tail lights, indicators, horn, fold down windscreen, opening tailgate and lockable bonnet. 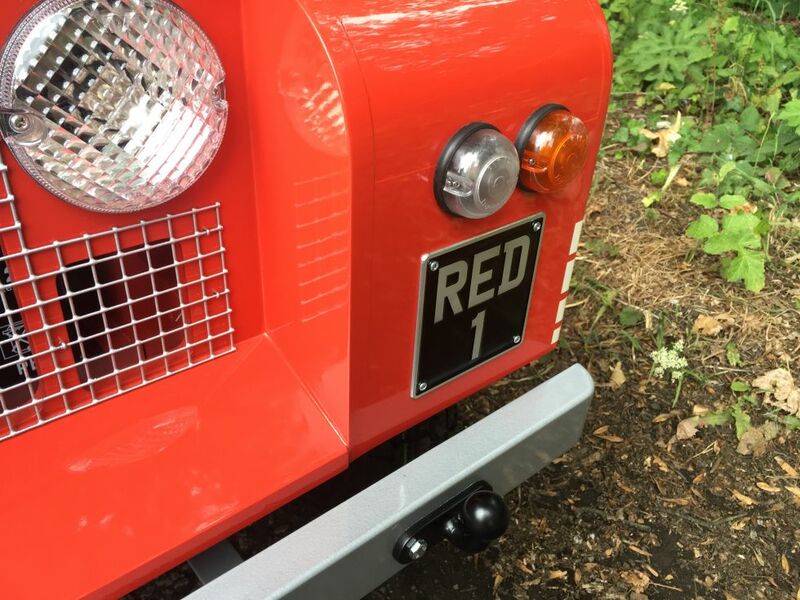 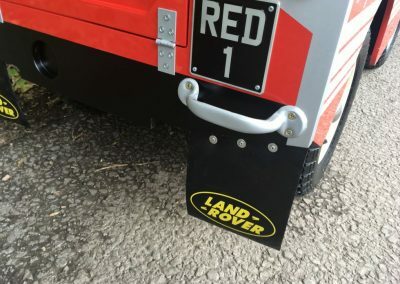 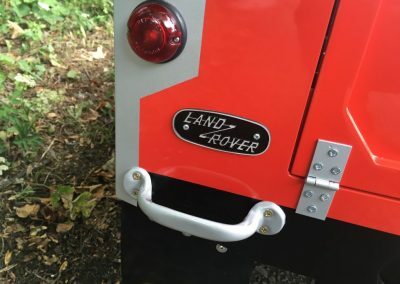 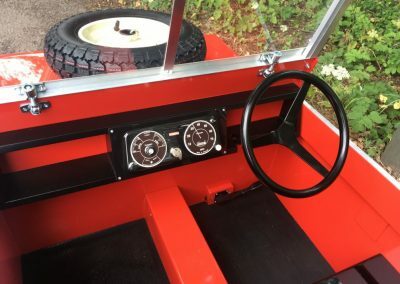 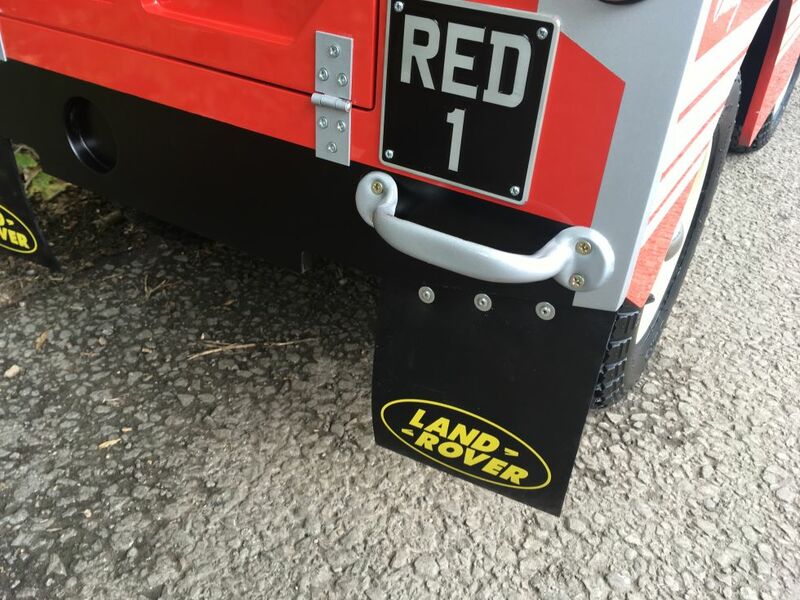 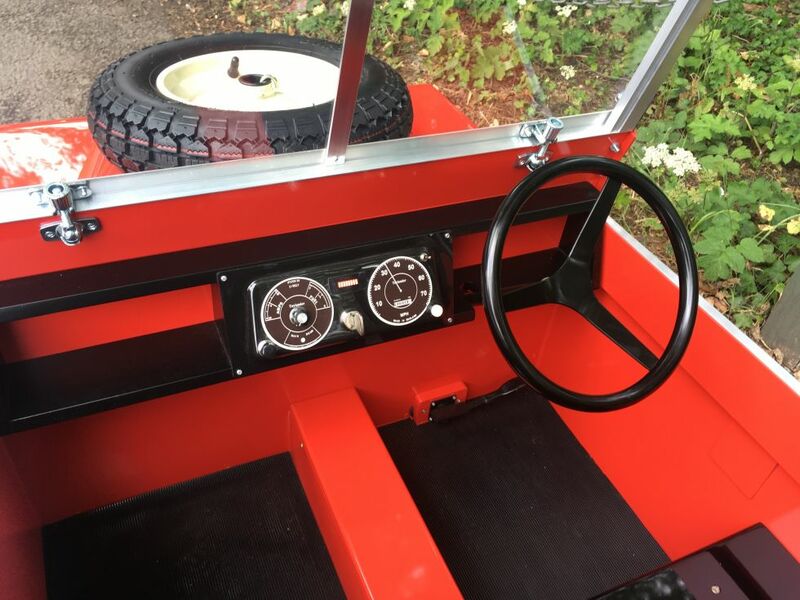 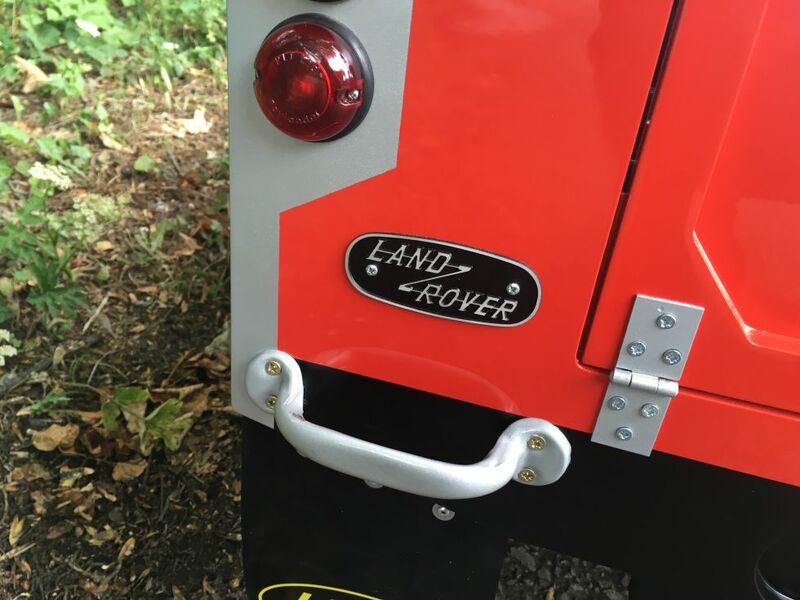 Extras: cnc machined AA badge, Land Rover badge and number plates, fitted floor mats, LED battery indicator, rear mudflaps with Land Rover logos, bonnet mounted spare wheel, max speed controller and sculptured door handles not stickers. Totally genuine and standard Toylander apart from running gear that is direct drive from a shop rider mobility scooter and trans-axle so no chains to worry about.. 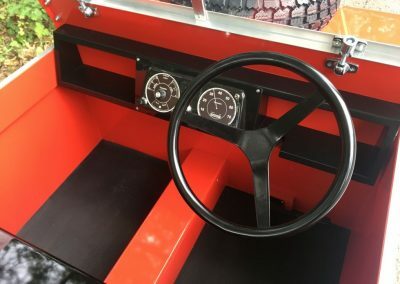 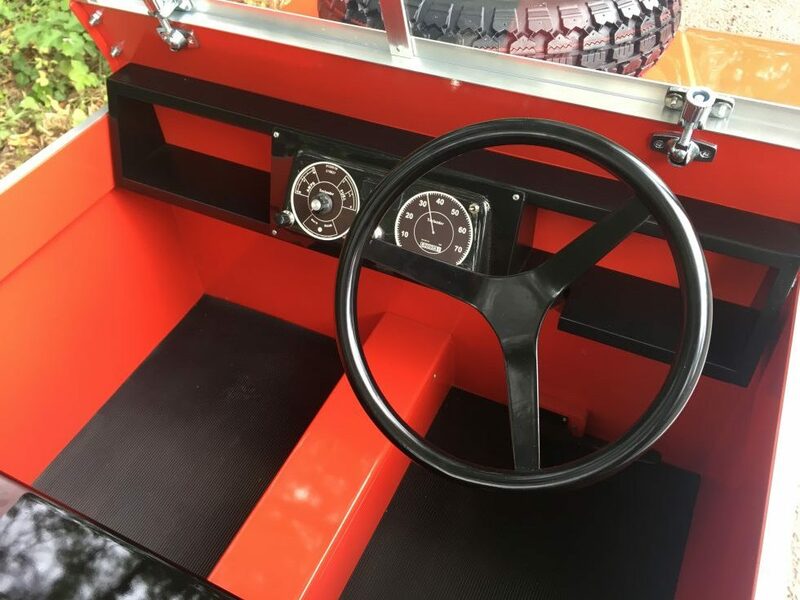 This is a better system as it also uses an automatic brake making it easier for very young children to drive. 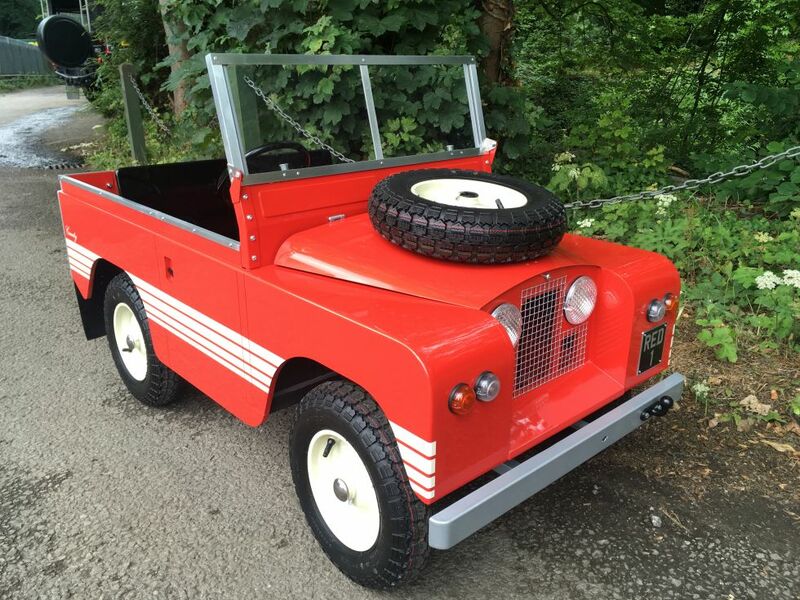 6 mph so totally legal to use on pavements by kids or adults. if your child deserves the best of the best then this is it.